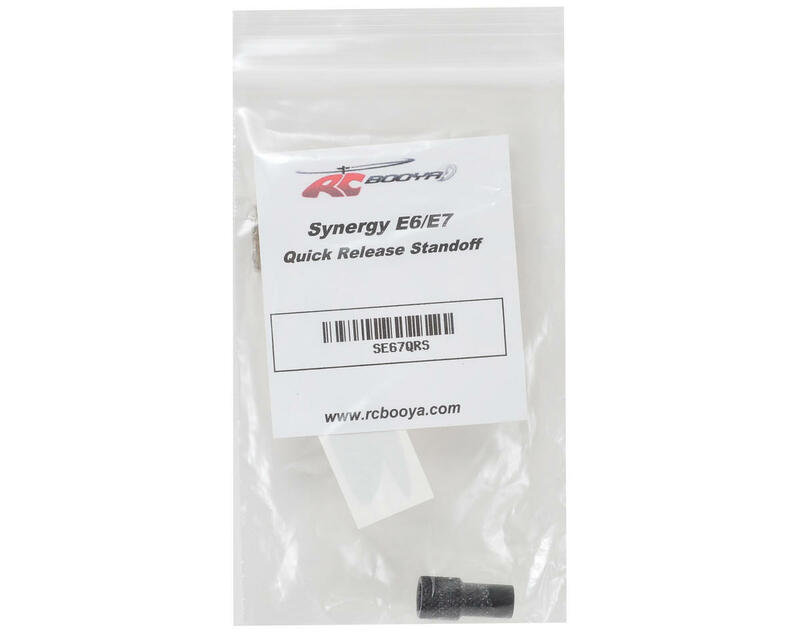 This is a replacement RCBooya Synergy E6/E7 Quick Release Standoff. 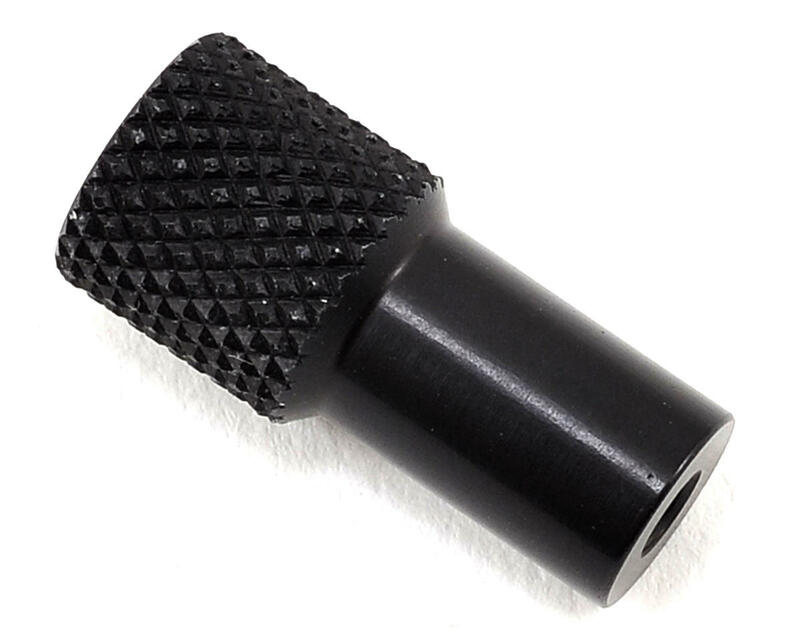 This standoff is machined from 6061-T6 aluminum, hardcoated and dyed black for added durability. This replacement standoff is fully compatible with the optional RCBooya Synergy E6/E7 Quick Release Canopy Mounts (RCBSE672QRCM). Package includes one standoff (standoff measures 21.34mm).